The dawn of Shaban the third, year 3 A.H. is considered as one of the most beautiful dawns for it was on this day that a blessed child entered the house of revelation. They informed the Messenger of Allah (P.B.U.H&H.P) that Lady Fatimah Zahra (S.A) has given birth to a baby boy. The Holy Messenger was filled with a mixture of joy and grief, seeking dearly to see the new-born. Why the mixed emotions? Is it that the child has a disability? No. The Holy Prophet (P.B.U.H&H.P) is looking into the far future, occupied deeply in his thoughts. He looks again at this new-born. At times he is filled with joy, other times with grief and sadness. He was like this for some time until tear drops role from his kind eyes. O why is the Prophet (P.B.U.H&H.P), the warrior of bravery crying? Why is he crying, when even the bravest man of Quraysh, Ali ibn Abi Talib (A.S) seeks his shelter in the hardest of times? But, yet he among the ladies cries in the ceremony of the new-born child! The response of the Messenger of Allah (P.B.U.H&H.P) is not just a human emotion stemming from mere thought to protect his name and family. This act was the act of a divinely chosen Prophet. 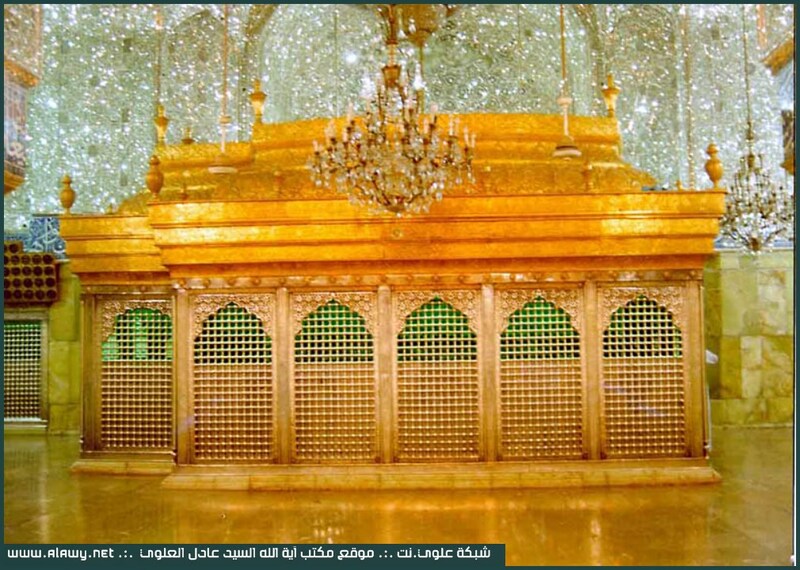 And this new-born was not just his son, but in fact Hussein (A.S)would be the leader of those seeking the clear path of the divine Prophet. Thus, the news of his martyrdom was indeed a war between truth and falsehood. It was this fact that made the Prophet cry on the child’s birth, a well-justified crying. This child would be raised in the arms of the Holy Prophet (P.B.U.H&H.P) and Amir al-Muminin Ali (A.S). Two years passed and he had not spoken yet! The lines on the face of the child are a strong reflection of his wisdom and will, then why does he not speak? Once, Muslims stood to pray behind the Messenger of Allah, and Hussein (A.S) was also standing beside the Prophet. Those present prepared to recite the Takbir. Silence filled the air. In this moment, the Prophet (P.B.U.H&H.P) recited Takbir, and following him a soft and low voice reciting ‘God is Great’ could be heard. This was the voice of Hussein ibn Ali. The Prophet (P.B.U.H&H.P) repeated the praise, and Hussein (A.S) also repeated. Those awaiting the prayer, who witnessed this experience, would hear, repeat the praise, and remain in awe! The Prophet (P.B.U.H&H.P) said the praise seven times, and Hussein (A.S) had followed saying it seven times as well (Al-Tahdhib, vol. 3, p. 286). Then the Prophet (P.B.U.H&H.P) began his prayer (Salat) and Hussein (A.S) would repeat what he would hear. And it was so that the first word of Hussein (A.S) was the words of the One God, Allahu Akbar, God is great! And he would repeat this phrase up until his soul flew from his body to the heavens.